Fiction isn’t spawned totally from the imagination—it’s generally hatched from an inkling of truth that is combined with inspiration and a flight of fancy. Such can be said of Roy Hoffman’s latest novel, Come Landfall. For Hoffman, the inkling of truth was the loss of his uncle, Major Roy Robinton, U.S. Marine Corps, World War II. Major Robinton was captured and held on Japanese “Hellship” and disappeared with no record of his final days. The story of this lost uncle—Hoffman’s namesake—has become part of Hoffman family history, and via Come Landfall, Hoffman allows readers to share part of this history. The novel is set on the Mississippi Gulf Coast in August 2005 when Hurricane Katrina barreled toward the stately antebellum homes (old Mississippi) and upscale casinos (new Mississippi) that lined U.S. 90. Hoffman knows the Alabama/Mississippi Gulf Coast because, as a journalist, he covered this area for many years. His understanding of the place, the people, and the culture is a hallmark of his writing—Come Landfall is no exception. Hoffman is at home in this place, among these people—his place, his people. Come Landfall is the story of three disparately different women and the men they love—Nana, an elderly woman who resides in a nursing home; Angela, a young woman who works at the Cotton Gin Casino; and Cam, a sixteen-year-old Vietnamese teenager. These women all fall for men in uniforms—various kinds of uniforms—under varying circumstances. The story is narrowly focused, yet it expands across time and place to encompass three lives and three entirely different situations which Hoffman expertly weaves together. 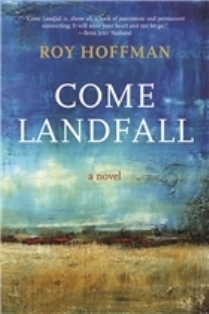 As a fan of Roy Hoffman’s writing, I have read his two earlier novels, Almost Family and Chicken Dreaming Corn, and while those books make for good reading, I find Come Landfall to be his strongest work of fiction to date. Roy Hoffman makes the weaving of this complex story appear simple. In this regard, such writers as Ernest Gaines come to mind, and that’s good company indeed! Come Landfall is rich in both its history and in its story. Linda Busby Parker is the author of Seven Laurels, a novel. 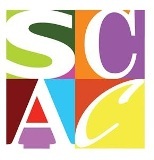 She is an adjunct professor of writing at the University of South Alabama, and she is publisher of Excalibur Press. Editor’s Note: This review first appeared in 2nd and Church, a magazine for writers.